Jacqueline Lee Jester is a board certified Family Nurse Practitioner with over 17 years of experience in family practice, urgent care, emergency care, intensive care, and geriatric skilled care. Jacqueline received her Bachelor of Science in Nursing from Georgia Southwestern State University in 2011. In 2015, she obtained her Master of Science in Nursing as a Family Nurse Practitioner from South University. She has been practicing as a Family Nurse Practitioner with the Family Medical Center since April 2016. 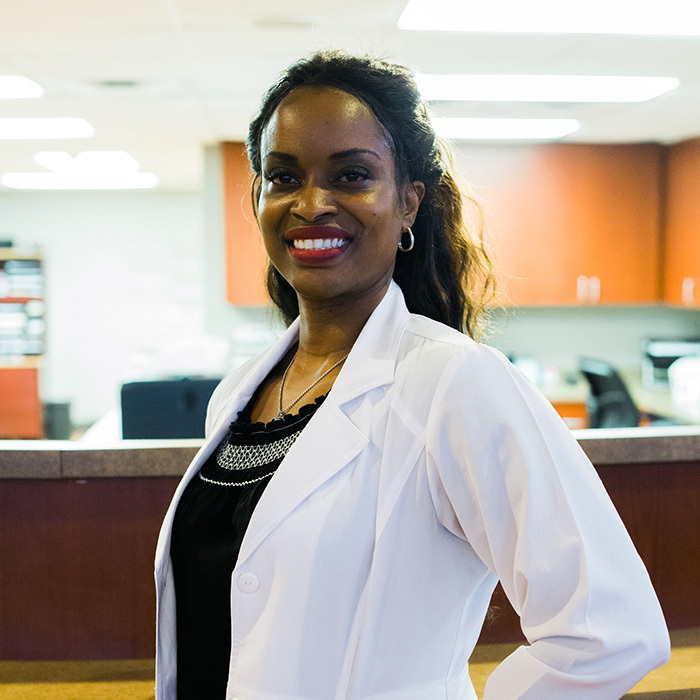 Jacqueline believes in the holistic approach to healthcare, which focuses on treating and healing the whole person. Jacqueline knows maintaining optimal health is by incorporating physical activity, eating a healthy diet, and having knowledge of your health or chronic condition(s) are the mainstays of maintaining optimum health. Her family resides in Pike County and she enjoys spending time with family and weight- training.